Captain Cook Cruises has released the 2011 dates for its seven nights Northern Fiji Dateline Discovery Cruise and due to the cruises popularity an extra two departure dates have been added. 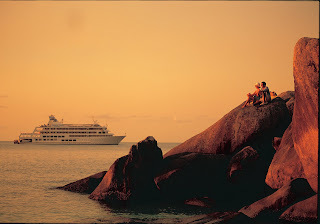 The new 2011 departure dates are: 05 April, 03 May, 07 June, 05, July, 02 August, 06 September, 04 October, and 01 November 2011. Remaining 2010 dates include 03 August, 07 September, 05 October and 02 November. The Northern Fiji Dateline Discovery Cruise is an amazing cruise that reveals the unique history, art and culture of the Northern Fiji Islands and allows passengers the ultimate experience of standing' on the International Dateline. Day trips include the historic island of Ovalau which still features 19th Century colonial architecture and waterfront promenades from colonial rule, the Bouma Waterfall lagoon on Taveuni Island, the extinct volcanic crater, hot springs and thriving markets on Savusavu, a special children's choral church service at Waiyevo and of course the 180th Meridian – the arbitrary Dateline between today and tomorrow on Taveuni Island. One of the most endearing features of this cruise is the generous welcome from Fijian village locals living on islands rarely visited by tourists. Passengers will be given the extraordinary opportunity to experience village life and partake in a kava ceremony, enjoy a traditional 'lovo" (earth oven) feast and dance to the drum of the meke (dance). For those with limited time the 7 night cruise can be split into 3 or 4 nights, starting or finishing at various Northern Fijian islands including Savusavu, Taveuni and Levuka. Prices for all three night Northern Fiji Dateline cruises starts from $839 per person twin share, the four nights Northern Fiji Dateline Cruise starts from $1049 per person twin share and the seven nights Northern Fiji Dateline Cruise starts from $1749 per person twin share.